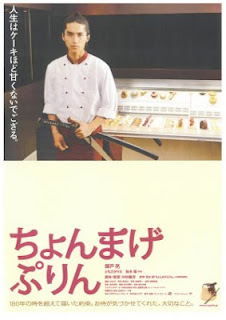 Through the mysteries of time travel, a handsome young samurai (Ryo Nishikido) appears in modern day Edo where he is taken in by a single mother (Rie Tomosaka) and her six-year-old son (Fuku Suzuki). Our hero predictably becomes the boy’s best friend, protector and substitute dad and while the time-honored stranger-in-a-strange-land comic tropes get their due, it’s after Nishikido has been reasonably indoctrinated into modern society that the film finds its true stride and heart. Scenes of a “Mr. Mom” nature reveal an unlikely culinary superstar, as skilled with a blade in the kitchen as on the battlefield. Once the world comes calling, will he become a stereotypical overworked Japanese male, forgoing family for career? Will he have to choose between his heart and the samurai code? Packed with surprises, smiles, and an array of mouth-watering onscreen edibles sure to send you scurrying to the closest Japanese sweet shop for dessert.